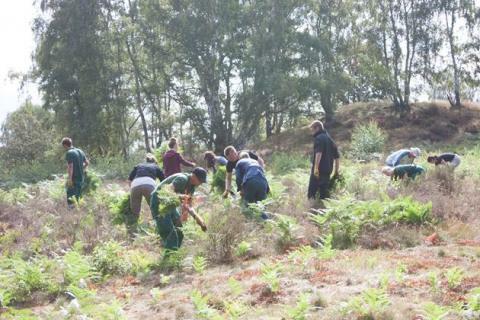 On Wednesday 6th August, 10 volunteers from Center Parcs Woburn Forest spent the day helping The Wildlife Trust (Bedfordshire, Cambridgeshire Northamptonshire) with essential bracken pulling at Cooper’s Hill. Center Parcs and The Wildlife Trusts have been corporate partners since May 2013 and in that time more than £44,000 has been raised through guest support and Village fundraising activities. It is not just monetary support Center Parcs offer but the company considers engagement as an equally important factor in working with charities. The Center Parcs volunteering programme has been running for four years with projects including community centre redecoration, landscaping and gardening. Cooper’s Hill is Bedfordshire’s largest remaining area of heathland covered in swathes of heather in late summer. The reserve is on the Greensand Ridge which historically would have been grazed by sheep or cattle with the heather also being used as fuel, bedding and for thatching roofs. Open heath provides a home for the common lizard and insects. Lots of nesting birds also take advantage of the protection of spikey gorse. In May 2013 members of the management team at Woburn Forest team volunteered for The Greensand Trust preparing a play area at Maulden Wood, then on 16th December, a team of volunteers helped at Flitwick Moor by helping to clear the ground ready for the spring. Bracken pulling at Cooper’s Hill as the third volunteering project undertaken by the Woburn Forest team. Center Parcs came to the UK in July 1987 when it opened its first village at Sherwood Forest, offering short break holidays on a year round basis. In that time, the name Center Parcs has become synonymous with the provision of an exceptional short break experience in a natural forest location. The Center Parcs concept is to provide short breaks in the forest, bringing families together and back to nature with high quality accommodation, a range of outstanding leisure facilities and over 200 activities, all set within a protected and enhanced woodland environment. Center Parcs operates four villages in the UK; Sherwood Forest in Nottinghamshire, Elveden Forest in Suffolk, Longleat Forest in Wiltshire and Whinfell Forest in Cumbria and has a fifth village, Center Parcs Woburn Forest in Bedfordshire, which opened in spring 2014. Each village is set in 400 acres of natural woodland, with trees, streams and wildlife surrounding Apartment and Lodge accommodation. At the heart of each village is the Subtropical Swimming Paradise, an extensive range of restaurants, cafes and retail outlets, plus, Center Parcs’ own Aqua Sana spa facility. 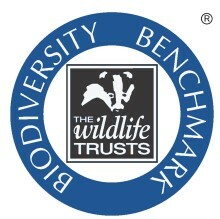 There are 47 individual Wildlife Trusts covering the whole of the UK and the Isle of Man and Alderney. Together, The Wildlife Trusts are the UK’s largest people-powered environmental organisation working for nature’s recovery on land and at sea. Each Wildlife Trust is an independent charity deeply-rooted within the local communities from which it was formed - most had been established by the end of the 1960s (usually, but not always, at a county-wide level), often set up by local activists determined to save what they could - the last remaining meadows, ancient woods, heaths - in the face of widespread devastation to our natural environment. 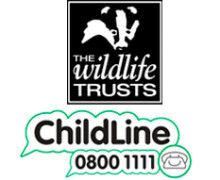 As its three year partnership with Great Ormond Street Hospital Children’s Charity came to a very successful end in May, Center Parcs is now delighted to be supporting two new charity partners, ChildLine and The Wildlife Trusts. 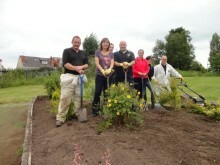 On Monday 25th June, 8 members of staff from Center Parcs Sherwood Forest took part in a volunteering project, giving their time and expertise to Bulwell Forest Garden. The day was part of the volunteer programme organised by Center Parcs for colleagues who want to make a difference in their local community. On Tuesday 14th May, the senior management team of Center Parcs Woburn Forest took time away from the business to volunteer to help prepare a new natural play area in Maulden Wood, just 7 miles from where the new Center Parcs is being built. On Monday 16th December, 8 members of the Center Parcs Woburn Forest team spent the day assisting The Wildlife Trust for Bedfordshire, Cambridgeshire and Northamptonshire with scrub clearance at Flitwick Moor.